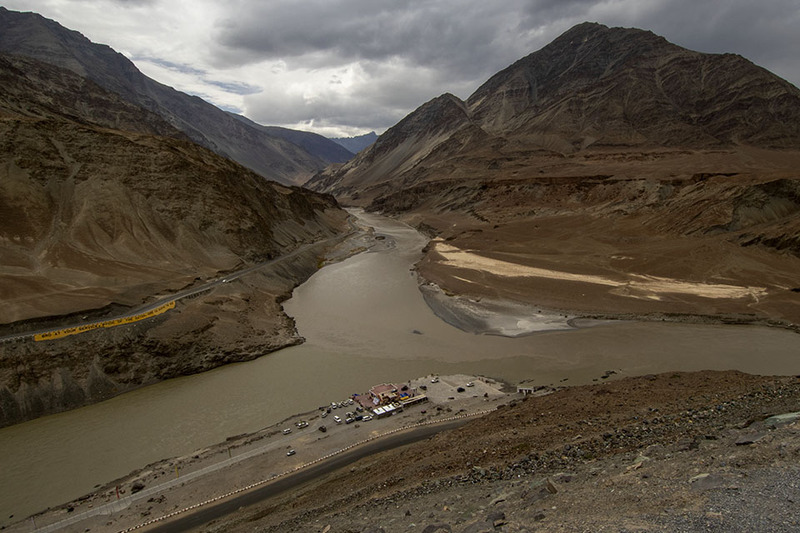 In preparation for the Ladakh Marathon, one among the highest marathon’s in the world, I reached Leh, a full two weeks ahead to acclimatise to the altitude and weather. 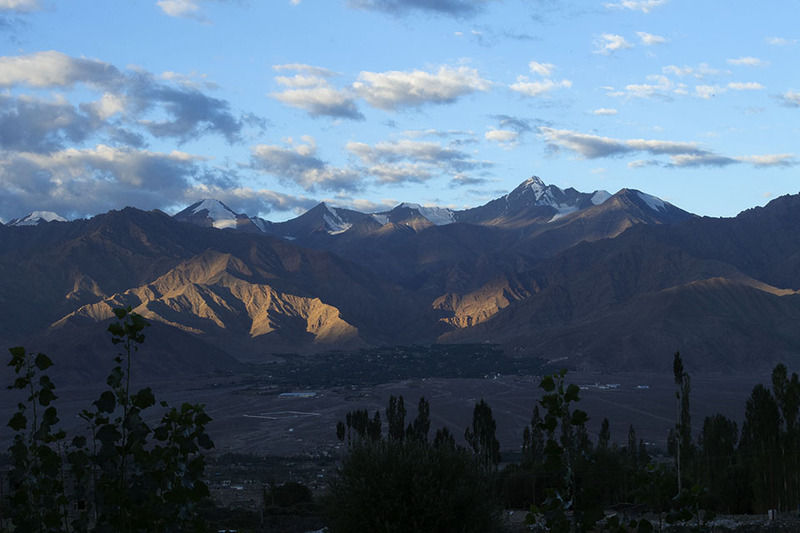 I stayed at Ladakh Sarai, a paradise in Leh which had an amazing view of Stok Kangri and coincidentally, my room was also named Stok Kangri. 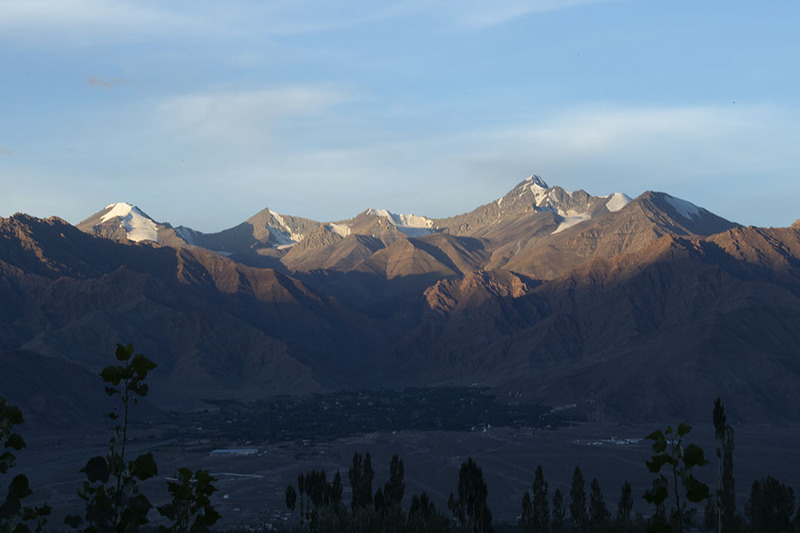 After a couple of days of acclimatisation, basically doing nothing, I got up early on day 3 to be blessed with this view of Stok Kangri. 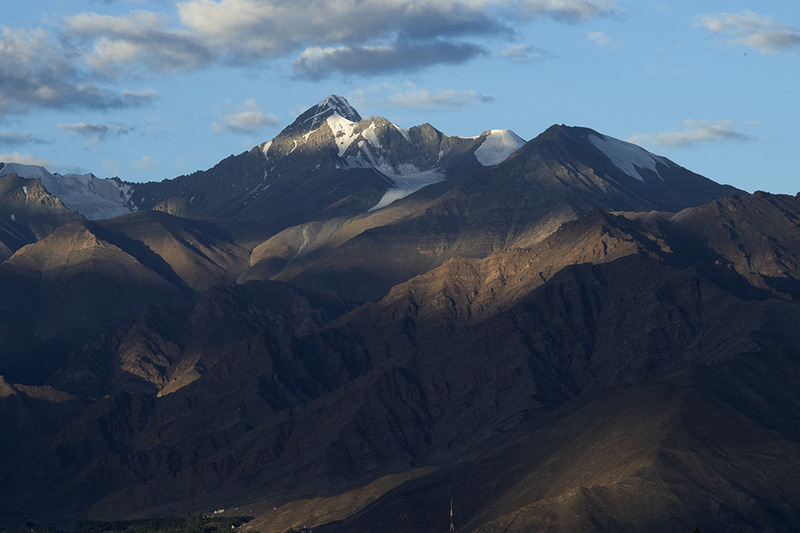 I scrambled around to get different perspectives as the sun rose on Stok Kangri. 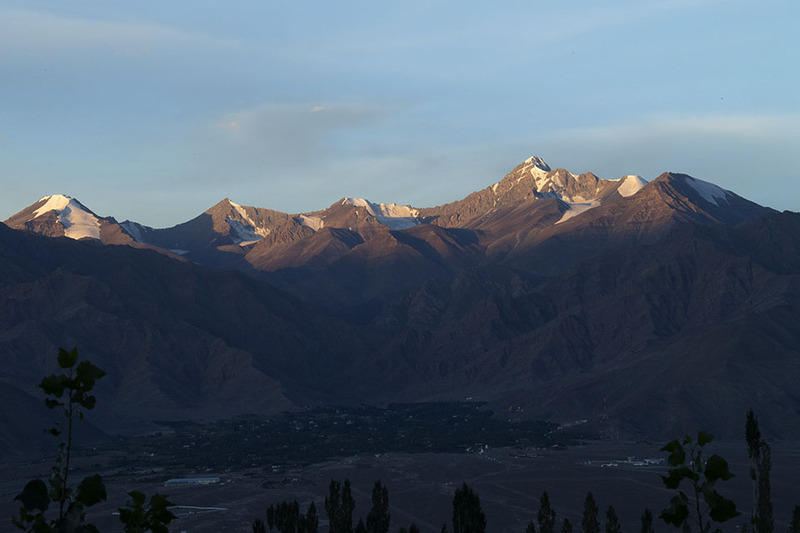 Here is another view before the sun completely lit up the valley. I made a mental note to wake up earlier the next day and catch the sunrise. 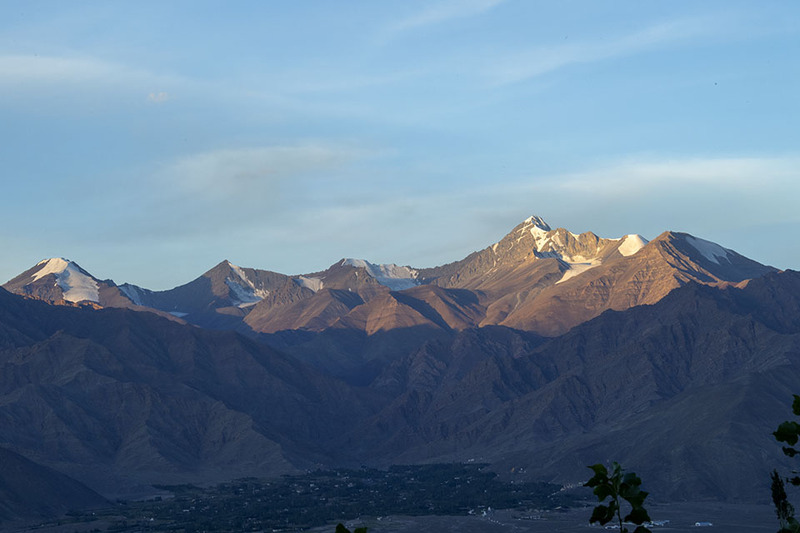 And on the third day, I captured Stok Kangri against clear skies at sunrise. 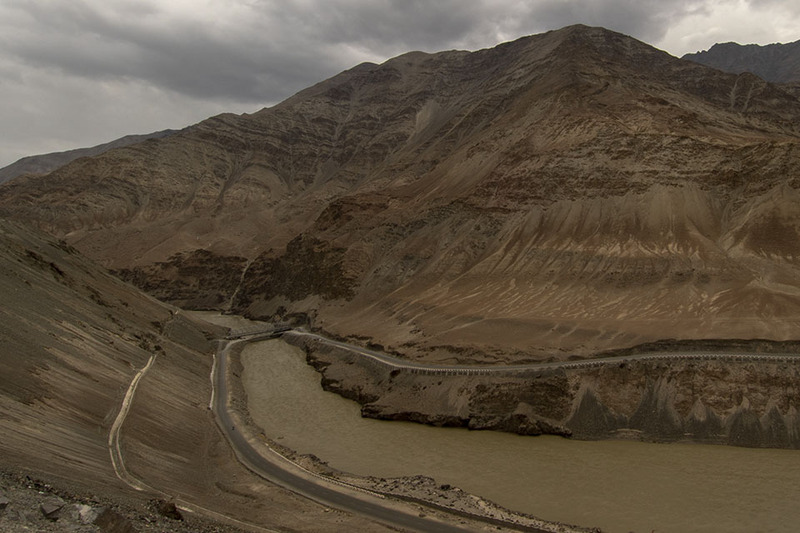 After breakfast we headed out to Sangam, the confluence of two rivers – this is where the Indus river meets the Zanskar river. It was a beautiful sight from a height and you can see the different colours of the water.